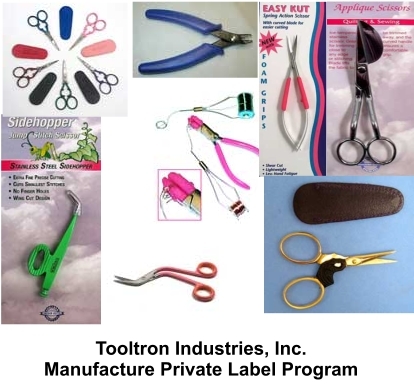 Tooltron Industries, Inc. established in 1987, has supplied and developed specialty hand tools for the craft, jewelry, pet supply and fishing supply industries. It will be celebrating its 25th year in business in 2012. Tooltron is a worldwide import/export manufacturer and master distributor offering customers the lowest prices and the convenience of buying direct via a secure Ecommerce environment. Tooltron Industries, Inc. is a leader in private labeling and impacts pricing mechanisms worldwide via tool forging exchange programs that have the effect of lowering cost of manufacturing and resultant suggested retail pricing. Mindful of customer needs, Tooltron has always controlled its price points and quality to insure its industry-leading price/quality position. Environmental friendly packaging options. Tooltron is committed to the stewardship of our earth’s resources. It uses recycled steel in its manufacturing process that meets all industry standards. It uses recycled paper in its packaging design strategies.